This is a photo of me and some of my best friends from the summer before our corps banquet during the week of the World Championships. I had so much fun, and I don't think I could have made it through the summer without them! 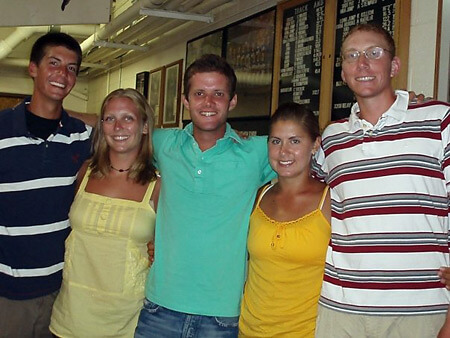 From left to right: Nick Glimenakis, Sara Haase, Michael Howell, me (Justine Williams) and Jeff Bickford.